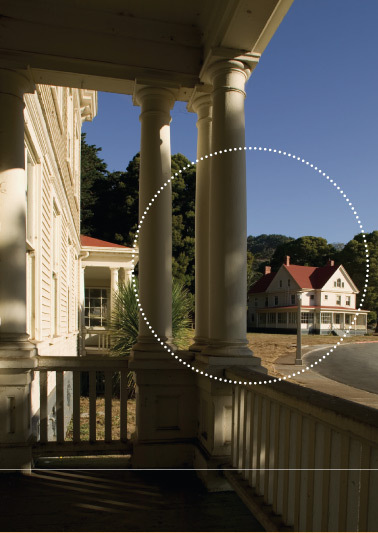 Accommodations at Cavallo Point, the lodge at the Golden Gate, will blend historic charm with 21st-century comfort. Decorated by an internationally recognized design firm and the team that created the Post Ranch Inn, the 142 lodging units will integrate local artistry with colors and textures that reflect the natural environment. All 68 landmark units will have high pressed-tin ceilings, wood floors, sitting rooms, and well-appointed, contemporary bathrooms. Most of the 74 new units will enjoy commanding views of the Golden Gate Bridge and San Francisco, and all will include “green” features and energy efficiency and water conservation technologies. Lodging configurations will accommodate a range of guests, from couples to families to groups.